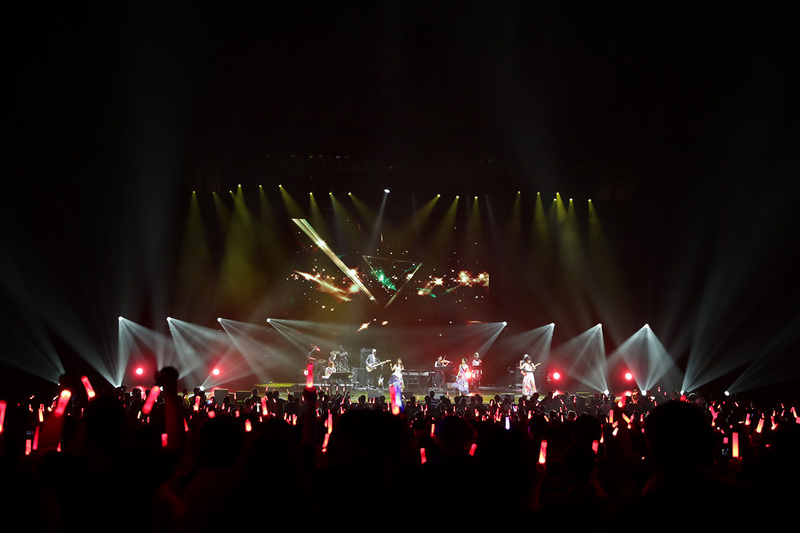 On July 6, 2018, anisong fans packed the Microsoft Theater in Los Angeles for “Japan Super Live” — the second night of Anisong World Matsuri at Anime Expo 2018 — to see rare U.S. performances by anime superstars May’n, Aimer, Sanketsu-girl Sayuri, and Yuki Kajiura. “I have always wanted to meet you guys,” she continued. “Tonight, let’s make a big memory! 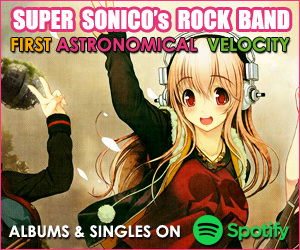 Let me hear your voice!” she exclaimed as the band played the opening notes of Macross Frontier‘s dramatic “Northern Cross”. Thousands of blue pen lights illuminated the theater to create a galaxy of lights to match the celestial imagery projected above the stage. 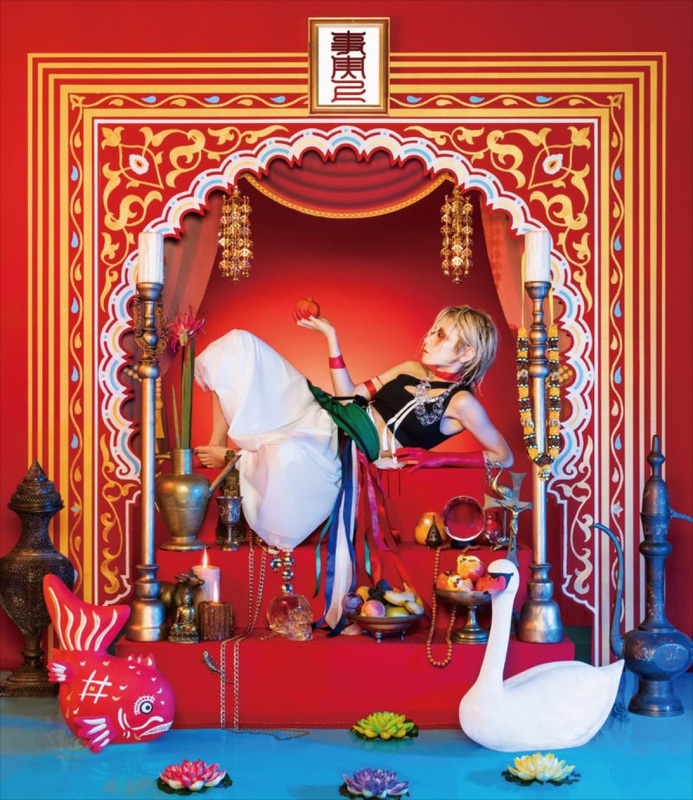 Street performer turned anisong rising-star Sanketsu-girl Sayuri took the stage next. 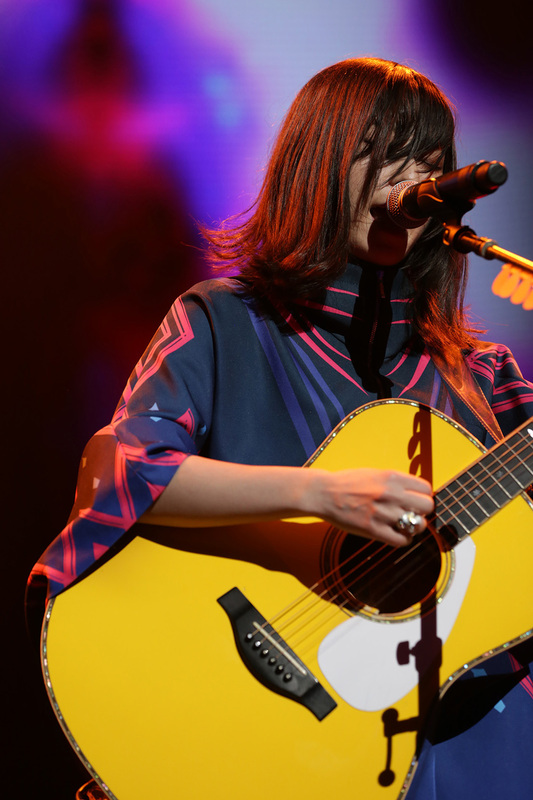 Barefoot in her indigo and pink shawl and holding only her acoustic guitar, the “2.5-dimensional parallel singer-songwriter” began her intense performance with well-known anime themes “Heikousen” and “Sore wa Chiisana Hikari no youna” as the screen above her displayed dramatic 2D silhouettes of the the singer and Japanese lyrics flowing in time with the music. 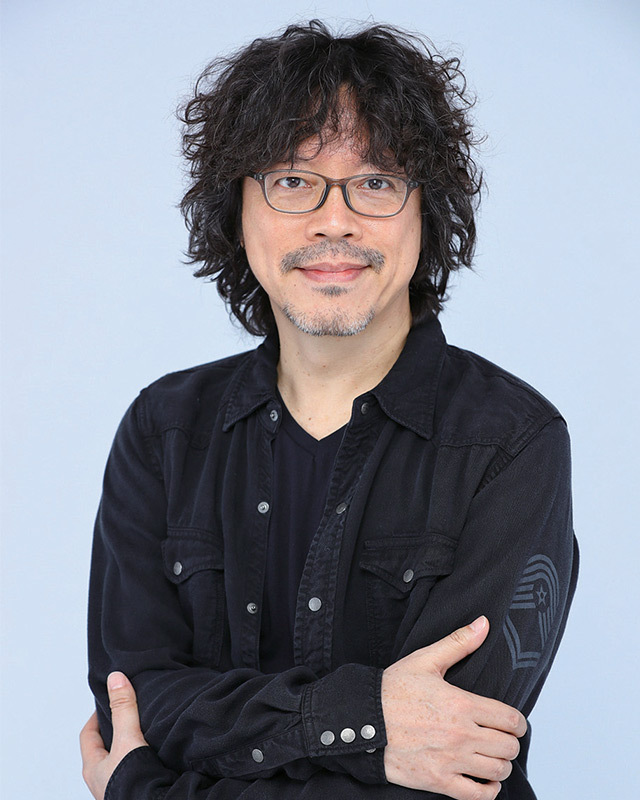 With just one eye peering from behind her thick, dark hair, she relentlessly strummed her guitar accompanied on stage by a solo keyboard player for live versions of theme songs from Fate/Extra: Last Encore and Rampo Kitan: Game of Laplace. 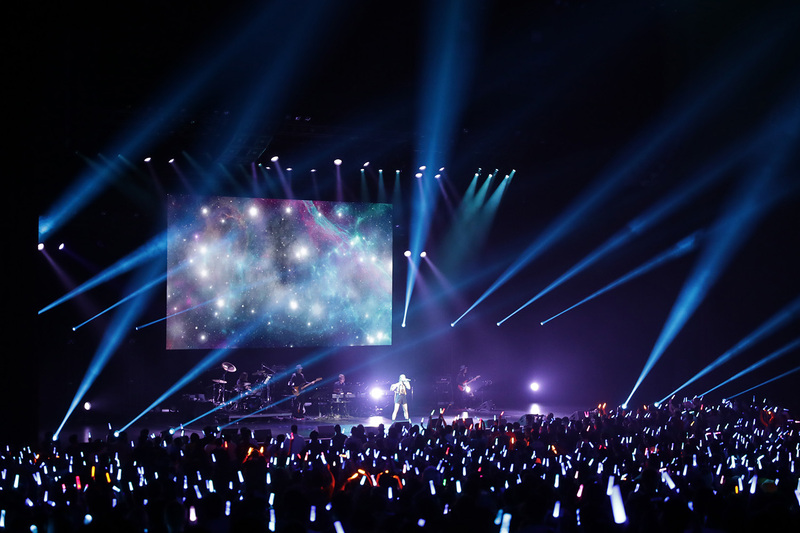 Aimer returned to Anime Expo in a follow-up to her 2015 performance, seated on a simple stool and back lit by spotlights and projections of wispy white smoke. 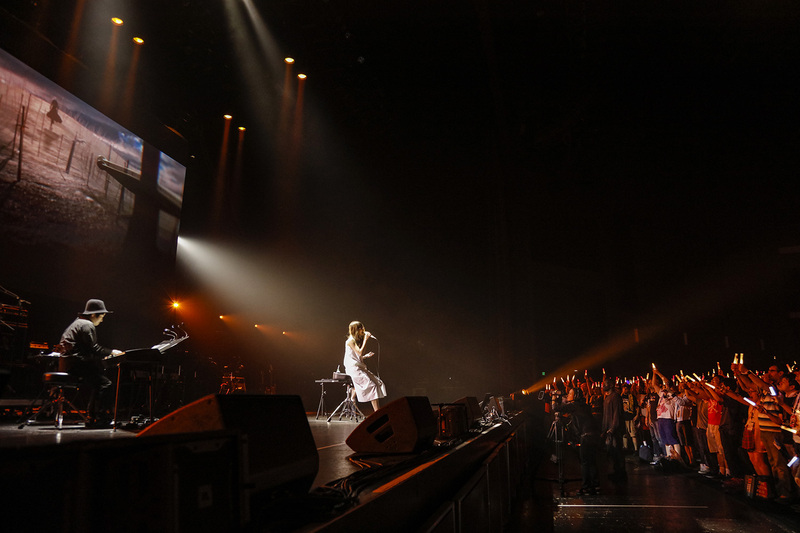 Filling the dark theater with her powerful voice, the mysterious singer performed “StarRingChild” (from Mobile Suit Gundam Unicorn) and then “Brave Shine” (from Fate/ Stay Night: Unlimited Blade Works) accompanied by a dramatic montage of anime scenes. Aimer took a moment to address the fans directly. “I’m very honored to sing in front of all you amazing people. Moments like this make me grateful, and I hope I can live with you through music. I’ll definitely come back again. Arigatou gozaimashita! I would like to dedicate my last song to you…” she whispered. Aimer’s sustained high notes shook the whole theater as she performed “LAST STARDUST” from (Fate/stay night: Unlimited Blade Works). 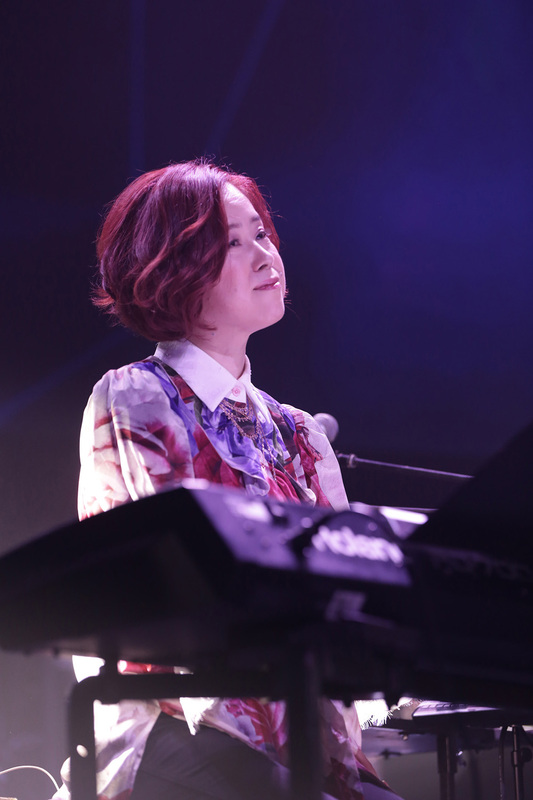 The final artist of the night, famed composer, lyricist, and performer Yuki Kajiura, arrived on stage behind at her keyboard, supported by a five-piece band and three vocalists. 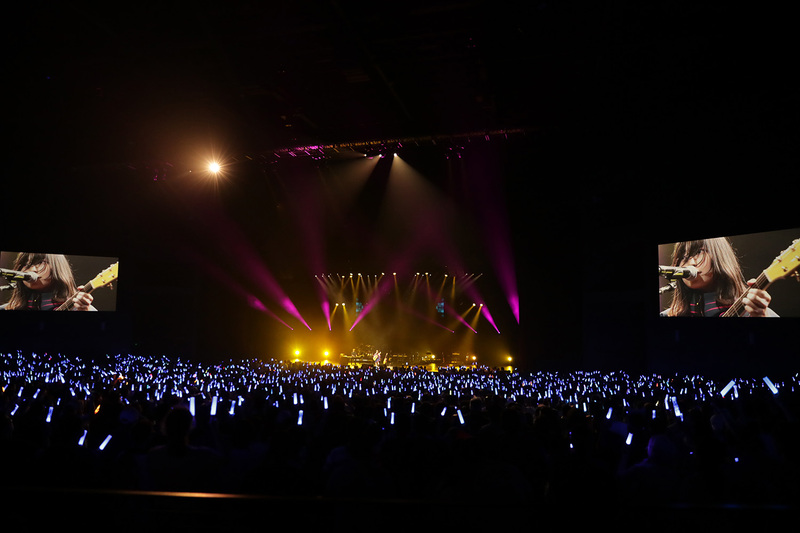 A massive cheer filled the hall as her name was projected on screen, and the internationally renowned artist led her musicians through instrumental and choral arrangements from her most popular anime film and television soundtracks, including Sword Art Online -Ordinal Scale-, .hack//SIGN, and Fate/Zero. 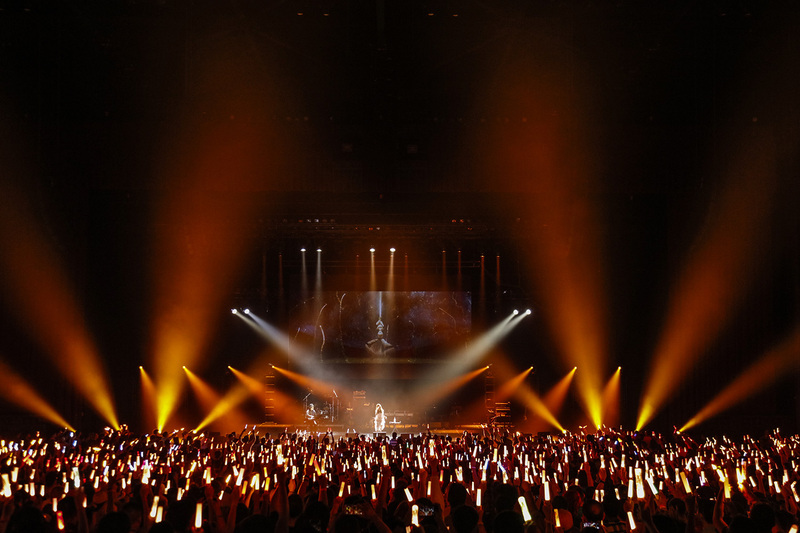 As a special surprise for fans at Anisong World Matsuri, Yuki Kajiura was joined on stage for the final song by vocalist Aimer. 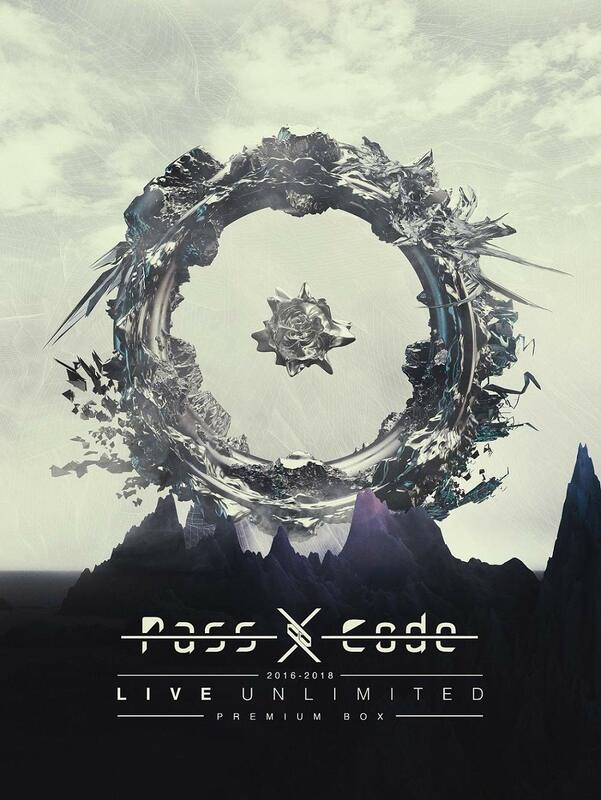 Together they performed “Hana No Uta” from (Fate/Stay Night [Heaven’s Feel] I. Presage Flower for the first time ever, bringing an exciting climax to the emotional three-hour anisong concert.